Uses and Options: Choose what you want to do and make a selection from a list of the options. The list above provides you with some of the uses you are likely to need while scouting. Visualize what you would like to do. Move the mouse over the items. Read the description. Click on the item you decide best meets your needs. Some national organizations specify detailed requirements for advancement and for various activities. These lists change with time and some are overdue for revision because they contain errors or knots of almost no value. Timber Hitch, Clove Hitch, Square Lashing, Shear Lashing, Diagonal Lashing. Figure Eight Follow-Through, Safety knot, Water knot. 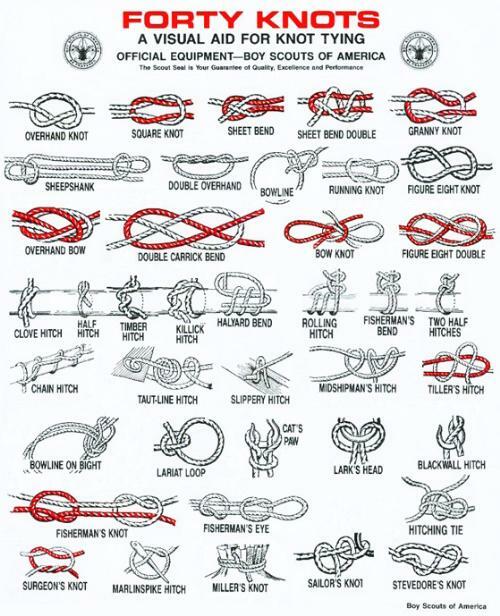 These animated knots are described for scouts, but most of them have critical uses in other environments. Select the knots from: the index above left; the pictures above; or the Scouting Requirements page which provides details of the knots expected for advancement and different activities. 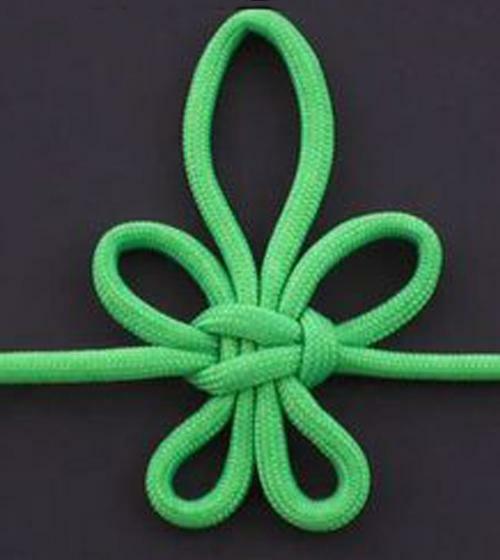 The selection of knots is based on consultation with many scouting leaders and a review of the requirements by some national organizations.